Nick Knowles gives urban spaces a reverse makeover. The team meets Betty from Crayford, who cannot understand why she doesn't sees butterflies any more. The series kicks off in a small back garden in Crayford, Kent. It is the kind of garden that many of us have: a manicured lawn with narrow borders around the edges. 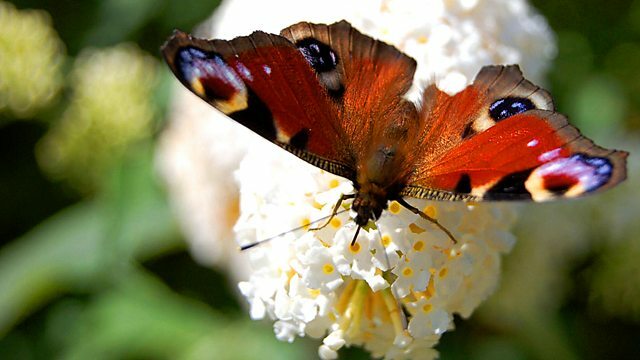 It is home to Betty, a lovely lady who cannot understand why she never sees butterflies these days. She has put up bird feeders, but is not attracting any of our feathered friends. In fact, she misses wildlife so much that she has gathered a menagerie of plastic animals to fill the gap. Cue BBC1's man of action Nick Knowles, award-winning garden designer Chris Beardshaw and wildlife buff Ellie Harrison. The Wild About Your Garden crew are on a mission to attract the real thing into Betty's garden. It is the ultimate reverse make over, as the garden has to go backwards before it can go forwards. They rip out over ten tons of concrete and crazy paving to make way for hundreds of plants plus 14 fully mature trees, one which weighs as much as a couple of cars! And while they are there, Ellie realises the team can help save Britain's most endangered mammal, the water vole. Betty might need some convincing, though, as she thinks they look like rats!